Every now and again, an artist comes along that blows you away, in every facet. 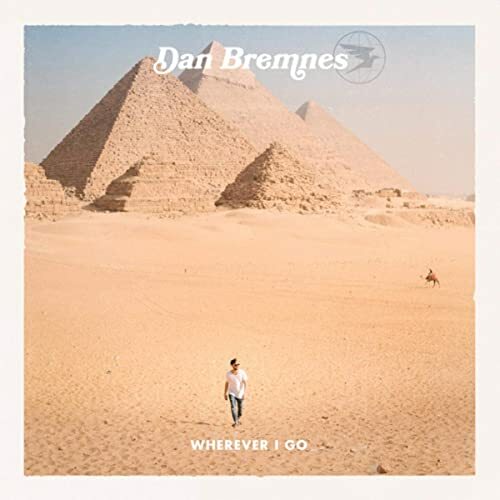 Songwriting, musicianship, energy, passion… and Dan Bremnes is one such artist. He released his label debut Where The Light Is in 2015, his Word Label Group debut Wherever I Go last year, and is now back with a brand new single “Thunder” (nope, not the Imagine Dragons song!). I think a few years ago I wrote a pretty good intro to my review of Where The Light Is, and Jon wrote an extensive intro as well for his review of Wherever I Go– so let me point you to those reviews here and here for you to read before you check out my thoughts on “Thunder”. But before we get down to how the song sounds and the meaning behind the punchy and impacting melody, let me just point out that Dan is one of the most passionate and dedicated artists out there at the moment (in my humble opinion!). Don’t believe me? Well you can watch these videos and let me know afterwards! “…The last few years have been a rollercoaster in my music career. There has been some unexpected disappointments and heartbreak. I wrote this song to say ‘I’m not giving up’ and I hope it can be your song too!! Whatever has happened, it’s not the end of your story, it’s just a bad chapter and there’s more to come…” From the above quote it seems that Dan has been through some heavy stuff personally and professionally throughout the past few years. But in “Thunder”, he lays it all out bare and shows us his grit and determination, in an anthem that can be for everyone to declare and proclaim. Boldly asserting with true conviction that ‘…I’m rising up…no I never back down…’, across frenetic and explosive guitars, this 2 and a half minute rock tune is deserving of multiple listens, as we take stock and realise that setbacks can be conquered when God is on our side, and we get up, stare at them in the face, and declare that they won’t win. I don’t think it’ll ever be disclosed as to why Dan Bremnes split from Capitol Christian Music Group. However, it’s evident that he’s enjoying his time at Word- and “Thunder” is evidence of this. Perhaps there’s new music around the corner from the lovable Canadian- maybe it’s the end of this year or sometime in 2020. But regardless, let us sit back and enjoy the pop/head banger that is “Thunder”. Don’t you love this track more than Imagine Dragons’?